Use a epicyclic gearing and smaller pre-loaded torsion bar mounted co-axially inside the main torsion bar spring. Springs are common devices. Your car's suspension has a few, probably 4. The most common type of spring is the coil compression spring. This is used by almost everyone, even my nearest pen has one inside. Coil springs are an example of a torsion spring, compressing the coils together twists the wire. Another type of spring is the torsion bar. This works in exactly the same way, by twisting a bit of steel about its longitudinal axis, but it looks, and is used very differently. The coil spring is much easier to handle in the car environment. Essentially, you sort of squidge it in between two circular-ish holes, one in a strong part of the chassis, the other in some manner attached to the axle carrier, and you're done. You can go about your life bouncing around as you like, the coil shape takes care of all that twist-to- compression conversion for you. A torsion bar has to be grabbed very securely at each end, then you have to work out some linkages to make the suspension load twist your bit of steel. Essentially the packaging can't be an afterthought. There are advantages however, you can use a much smaller, lighter bit of steel. You can change the car's ride height by changing the amount of starting twist. New torsion bars with different spring rates are pretty cheap, and the packaging CAN be very compact, built right into the overall design. For this reason, some of the most successful cars or all time use such a suspension, including the Volkswagen Beetle <link>, Citroen Traction Avant <link> Morris Marina <link> Porsche Beetle Sport <link> M1 Abrams <link> Audi R15 <link>. 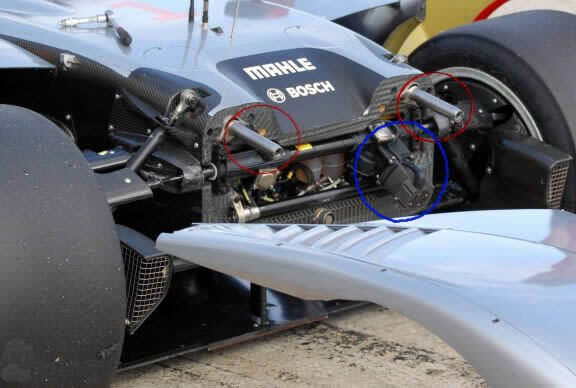 Even F1 cars make use of such springs, built into the pivots for their complex bell crank and anti-roll linkages <link>. The main disadvantage with torsion bars is a linear spring rate. You twist it 1 degree, an extra 500N force, another degree, another 500N force. It's very dull. Many applications require a progressive spring rate, with coil springs, this is easy... have wimpy floppy coils that compress easily, they run into each other and become a lump of steel, leaving beefier coils to provide a beefier spring rate. Now, if we are a bit sneaky, I think its possible to make a progressive torsion bar. Take a tubular torsion bar, then, put a smaller one inside it. Now you're free to pre-twist in the inner torsion bar any way you like before locking it to the outer one*. If you use inner and outer bars of the same length, Say a 500Nm outer bar with a 50Nm inner bar pre-twisted inside then as you twist, one unloads as one loads and you get the sum of +ve and -ve forces, but this is just a complex way of making a boringly linear torsion bar. Ugh. Now, if you could make the inner bar shorter, then it twists to a greater degree as a fraction of its length - Progressive! 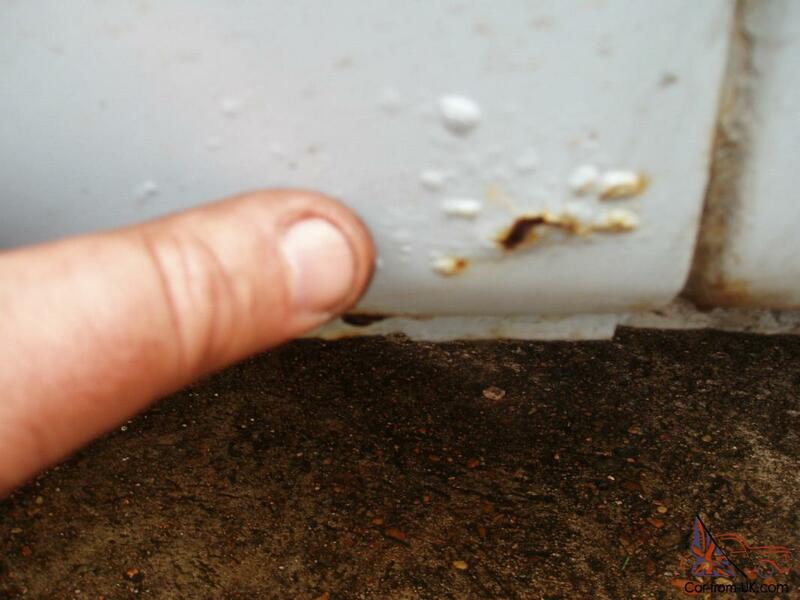 Unfortunately, gripping a torsion bar inside a long tube is a mechanical mess. You can use a longer internal torsion bar, this will twist less as a fraction of its length, now you have a regressive spring. If you have a use for that, great. Now, the solution. Large torsion tube, connected to Ring gear of epicyclic gearbox. Small torsion bar coaxial, connected to Sun gear of epicyclic gearbox <link>. Both large and small torsion elements fixed together at the other end. Construct the gearbox to be drive the sun gear at 2:1 of the ring gear, done. Progressive torsion bar. * I imagine the inner bar to have a square-section recess for a socket wrench to pre-tension it. The inner face of the outer tube and the outer face of the inside tube will be splined with an adapter collar to slide in an lock them together. Anti-seize compound recommended.